You must be a member of the Frankfurt Professional Networking Group to attend this activity. Would you like to join this group? Talk business . . . present what's on your list . . . ask questions. 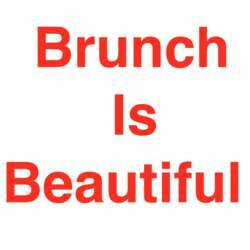 Or simply enjoy the brunch and get inspired by the ideas of others. Make new acquaintances. Enjoy this high-quality brunch for 20,50 Euros and have a nice chat with other IN members. And let's discuss. Have a nice time. Meet new people. Learn first-hand experience about IN and what it holds for you in a business context. Disclaimer: The pictures about food and menu are placeholders - dishes may vary due to seasonal changes.